Note: Since I wrote this in early 2013, several new books on the topic were published that my son has come to love! I've added more to the list here, if you'd like further suggestions on construction equipment and giant trucks! e have an obsession at our house and it is called bulldozers. Or front-end loaders. Or forklifts. I have no idea, really. I am constantly being corrected by a particular almost-four-year old who in moments of complete consternation reminds me that "digger" is far too nebulous a word. (He's not writing this though; thus the title.) And I am fairly certain parents of dinosaur-expert-slash-smarty-pants children know that of which I speak. This one is my favorite. The illustrations are detailed enough that you can actually learn about the equipment from looking at them. The construction workers are not all white guys. And they build something new and beautiful out of what was old and ugly. Yeah! This book is also rockin' with rhythm, which makes it an excellent read aloud. (I hate when children's book authors cut school the day of the iambic pentameter lesson.) The author-illustrator duo also wrote Roadwork, which is equally cool. This one is an American Library Association top pick for 2012 and garnered starred reviews from Booklist, School Library Journal, and Horn Book. (We library types get excited about starred reviews.) It's got flaps inside, and its companion is Machines Go to Work. Caveat: I don't really love this book. However, my son does. I know this because he has made me read it a million and four times. I like the artwork, but the rhymes are kind of cheesy and I'm always biased against books that are heavily pre-marketed. 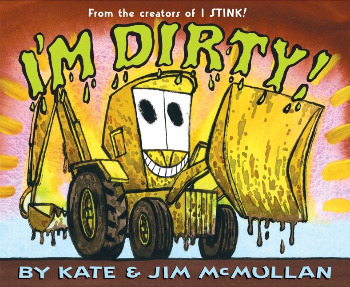 Anyway, who cares what I think, because apparently most all of the construction-loving preschoolers in the known world adore this book. And it is kind of cute how the machines have blankies and such when they tuck in at night. Some picture books are wonderfully illustrated. Some picture books are well written. And some, like this one, are pure genius, and so withstand the test of time and the onslaught of bazillions of mediocre children's books that are published each year. Mike Mulligan may be nearing 80, but Virginia Lee Burton's crayon drawings still tell the story with unmatched energy. There is no way not to get caught up in Mike and Mary Ann's race to outmatch gas, diesel, and electric machines, and the ending, in which Mary Ann becomes a permanent part of the basement she digs, is purely lovely. This counterpart to the earlier I'm Mighty and I Stink, garnered starred reviews from School Library Journal and Booklist when it was published in 2006. 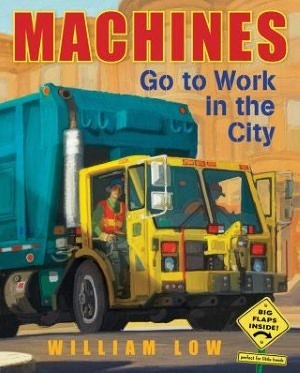 These titles are energetic, full of fun sounds, and really resonate because the machines in the books have as much energy as the preschoolers enjoying them. All-around fun. Now, I bet you don't know what a feller-buncher is.